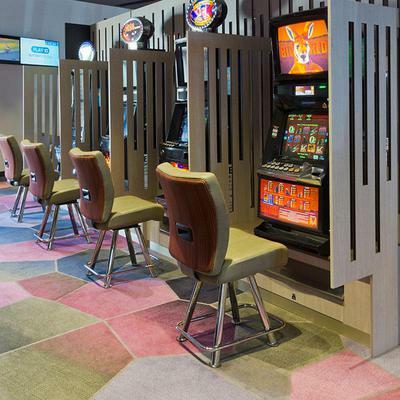 The team at Bate Design Strategies and Brintons have developed a funky woven flooring solution for Club Officer at Pakenham Racing Club, Victoria, Australia. 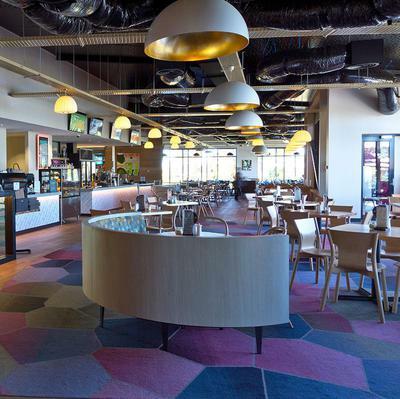 Club Officer is Pakenham Racing Club's newest entertainment venue. 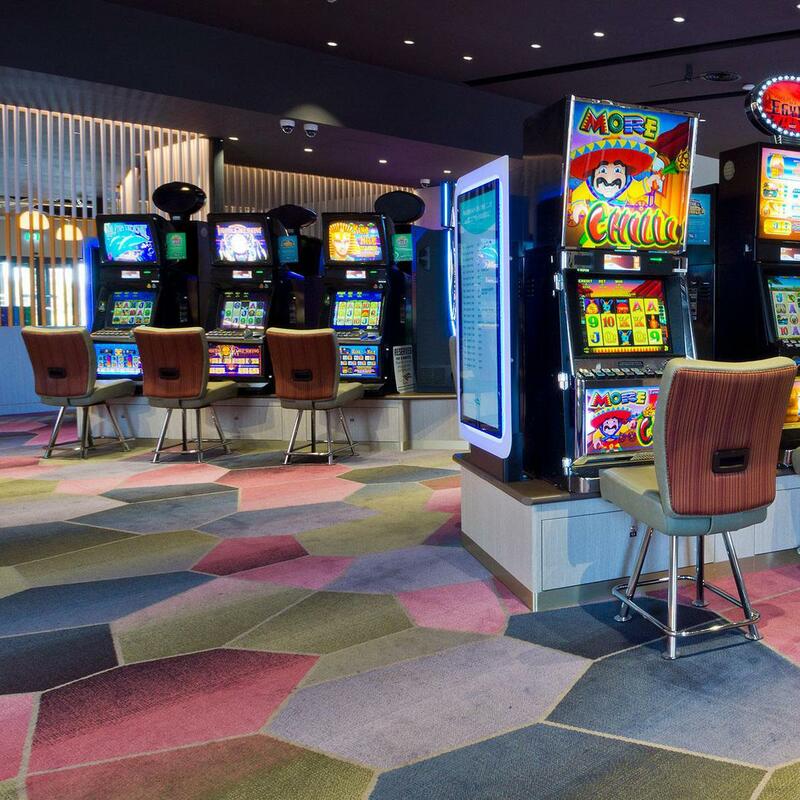 Community focused and family friendly, the venue boasts a bistro, cafe, sports bar and gaming room. 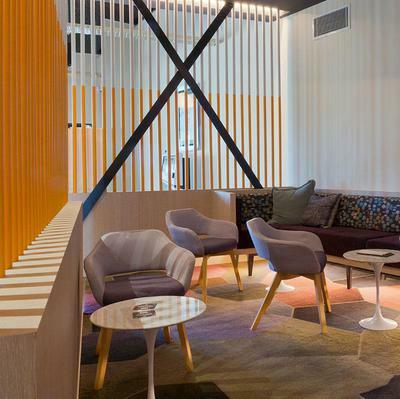 The design vision for the venue was to create a contemporary, welcoming space. 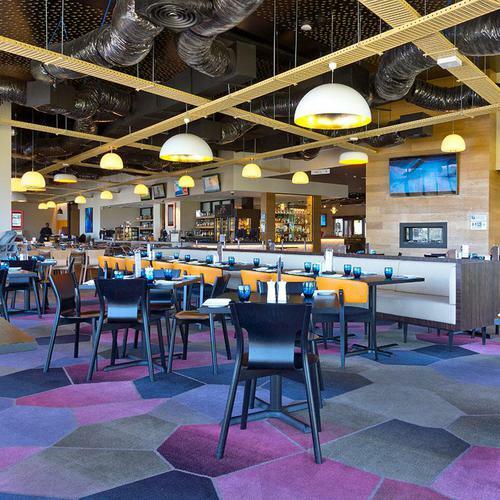 The large-scale geometric, tessellating patterned carpet is a key feature of the interior. The design was the result of a positive collaborative design process between the team at Bate Design Strategies and Brintons. The use of the hero design throughout the bistro and gaming areas creates a sense of harmony and flow through the venue. The carpet patterning is cleverly textured to enhance interest and the practicality of the design. The colour treatment undoubtedly gives the venue an energy. 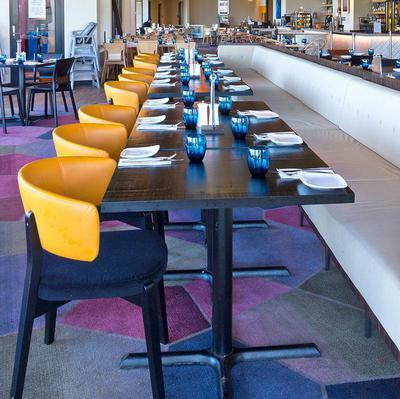 Colours pop under bright lights, yet appear tonal and restrained in relaxed seating areas. The final result is stunning - a warm and welcoming space which appeals to patrons of all ages. Brintons provided Bate Design Strategies a full sampling service, to facilitate quick and easy project approval.